The Southern Company, as a holding company for a number of operating public utilities, is one of the largest producers of electricity in the United States, 4.4 million customers and nearly 46,000 megawatts of generating capacity. The Atlanta-based company owns electric utilities across the southern states, a generation company, an energy services business and a retail natural gas business. The group also operates fibre-optics and wireless communications businesses. Additionally, Southern Company owns Southern Power, the primary growth engine for Southern's competitive wholesale market-based energy business. 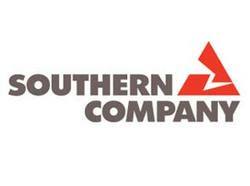 Southern Company's dividend is consistent and reliable as clockwork, dating back to 1948, paying a regularly increasing quarterly dividend year after year.